If there’s one jewelry trend we simply can’t get enough of, it’s pendant necklaces. Seriously though—we could wax poetic about how much we love wearing these pieces anywhere and everywhere. Whether you style them stacked with your other favorite necklaces and chokers or prefer to wear them on their own, this necklace style will look good with whatever you wear. Dress up your beach outfit with a necklace or wear a vintage-inspired one with a dress for a more formal event, as there’s nowhere you can’t wear this easy accessory. Luckily, the trend is also an affordable one, too, making this an item you just can’t pass up. Ready to add one or two (or three) to your jewelry box? We gathered our favorite under-$100 pendant necklaces on the market for you to peruse as you shop for the next piece to add to your collection. Trust us on this one: You’ll never want to take these off. For those who love celestial-inspired pieces. If you love the shell trend happening, get this necklace. We can’t get over how cute this is. Leave it to Kate Spade to have the cutest jewelry. You’ll never get tired of this pearl necklace. Wear this layered with other necklaces. We love a good vintage-inspired pendant. Add an edge to your jewelry game. A square pendant is so unexpected. Keep a photo of your loved ones in this. Wear this for a special occasion. 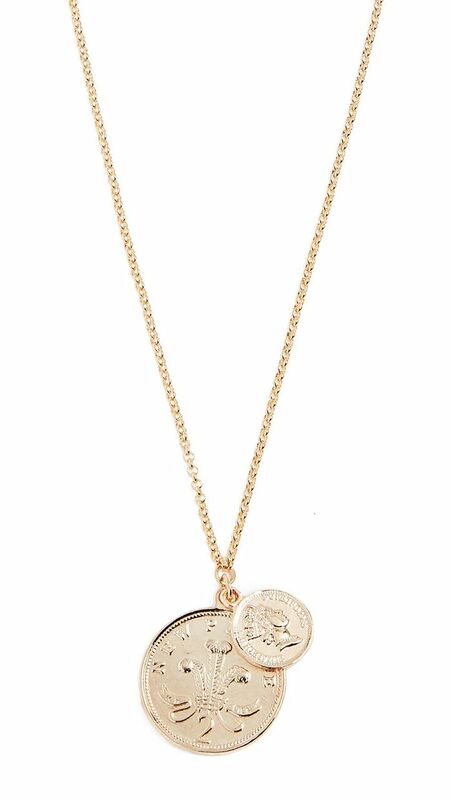 We love this dainty pendant. The best part? This is a summer jewelry trend that’ll always be in style. Now that’s an investment worth making.